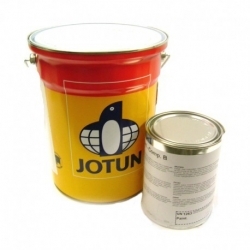 Rawlins Paints stock an excellent range of high-quality marine grade primers and undercoats for use on a range of surfaces including metal, wood and fibreglass prior to the application of the selected topcoat. Primers and undercoats improve coating adhesion to a surface or substrate, coverage rates and the overall durability of the system. 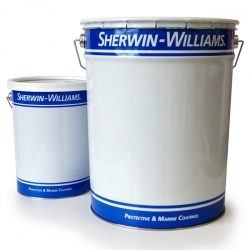 We offer primers and undercoats for surface areas above and below the waterline – please note the importance of choosing the right product to ensure longevity of your subsequent coats of paint. If you have any questions regarding primer, undercoat and topcoat compatibility in a full system installation, contact Rawlins Paints’ Technical Support Team. With corrosion potentially costing the marine industry millions of pounds per year, effective corrosion control measures, including the correct choice of a primer or undercoat as part of a maintenance system, should be very carefully considered. Mild steel, for example, corrodes easily in saltwater, and unless it is adequately protected and reinforced with a primer or undercoat along with a topcoat, it can rapidly lose its strength – which may result in structural failure. Corrosion is caused by the spontaneous reaction between a material and its environment – salt or freshwater submersion, for example, or docklands and related areas of heavy wave impact – which results in the degradation of the material. In metals, this can result in the deterioration of the mechanical properties of the metal. 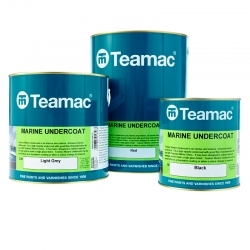 Marine primers and undercoats are a core part of a full system installation to tackle, treat and prevent corrosive damage to a structure from fouling. They can greatly improve the lifespan of a structure, the mechanical integrity of a surface material, and improve colour retention on aesthetically proud areas. Along with the internals of pipework used to carry water as a coolant for industrial power plants. On ships hulls, fouling type, extent and severity depends upon many factors - water salinity, light, temperature, pollution and nutrient availability. The severity of fouling tends to be a seasonal phenomenon governed by geographical location. Corrosion, and the rate at which corrosion occurs in seawater for example is dependent upon many factors, including oxygen concentration, pH (acidity/alkalinity), water temperature and the presence of dissolved salts such as chloride, sulphate, and sulphites. 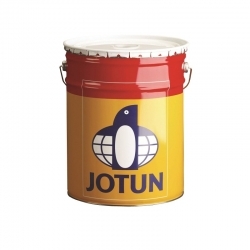 Corrosion attacks also occur in oil tanks, ballast tanks and cargo pipework, all of which can be protected with a basecoat or primer from International, Jotun, Sherwin-Williams, or Teamac, as part of their full system ranges for metal. Proper surface preparation prior to the application of a primer or undercoat is essential for the success of any marine coating system. 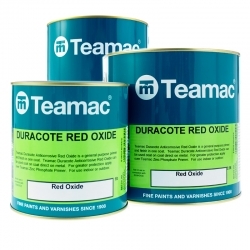 The importance of removing oil, grease, old coatings and surface contaminants (such as millscale and rust on steel, and zinc salts on zinc containing primers or galvanised surfaces) cannot be over emphasised. 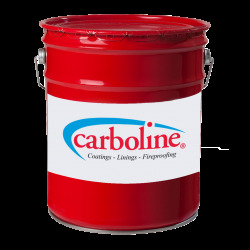 The performance of any primer or paint coating is directly dependent upon the correct and thorough preparation of the surface prior to coating. The most expensive and technologically advanced coating system will fail if the surface preparation is incorrect or incomplete. The main objective of surface preparation is to ensure that all such contamination is removed to reduce the possibility of initiating corrosion and to create a surface profile that allows satisfactory adhesion of the coating to be applied. The effectiveness of all coatings applied – including primers and undercoats - in preventing corrosion depends upon many factors, for example, coating type, end use and operating environment. Coatings in service - cargo hold coatings, deck coatings and hull coatings - will be subjected to mechanical damage. 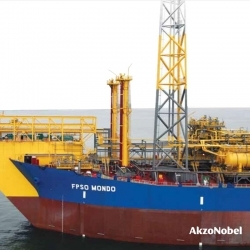 Corrosion protection can therefore best be achieved by using a primer or undercoat that strengthens the mechanics of a full marine coating system.